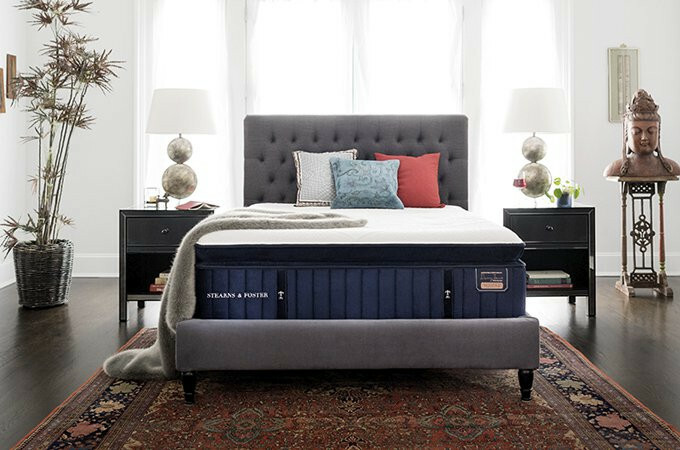 All Sealy® and Stearns & Foster® mattresses and flat, non-adjustable foundations are covered by the terms of this Limited Warranty. 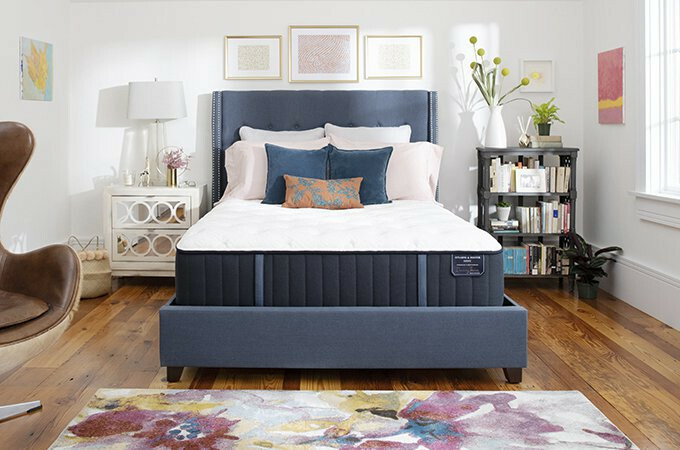 For purposes of this Limited Warranty, the term “product” means any flat, non-adjustable foundation and any mattress manufactured by or for Sealy Mattress Manufacturing Company, LLC (“Sealy”). Sealy warrants that it will, at Sealy’s option,replace or repair Purchaser’s Sealy product sold in the U.S. by an authorized retailer if that product is defective due to faulty workmanship or materials, subject to the limitations described in this Limited Warranty. Sealy undertakes no responsibility for the quality of the goods except as otherwise provided in this contract. There are no warranties that extend beyond the description on the face hereof. This Limited Warranty is valid only in connection with the original purchase of new products from authorized retailers and extends from the original purchase date of the original product purchased. An“original purchaser,” for the purposes of this Limited Warranty, is an individual or entity who purchases the product directly from Sealy or an authorized retailer of Sealy with the intent to use the product for personal consumer use and not for commercial or industrial use and not with the intent to resell the product. An“authorized retailer,” for purposes of this Limited Warranty, is an individual or entity authorized by Sealy to sell product directly to original Purchasers. An individual or entity that purchases the product from whatever source with the intent to resell the product is an unauthorized reseller (“unauthorized reseller”). This Limited Warranty does not apply to floor models or “demos” (except as specifically provided herein) or to products sold by unauthorized resellers, including without limitation, unauthorized resellers on third-party websites, including, without limitation, Craigslist, eBay,Amazon, etc. Unauthorized resellers are not “original purchasers” for the purpose of this Limited Warranty. If Purchaser is not the original purchaser of this product, Purchaser takes the product “AS IS,” “with all faults”and without warranty. If the purchase of this product was not directly from Sealy, proof of purchase will be required to demonstrate that Purchaser is the original purchaser and the product was purchased from an authorized retailer, and eligible to make a valid claim under this limited warranty. 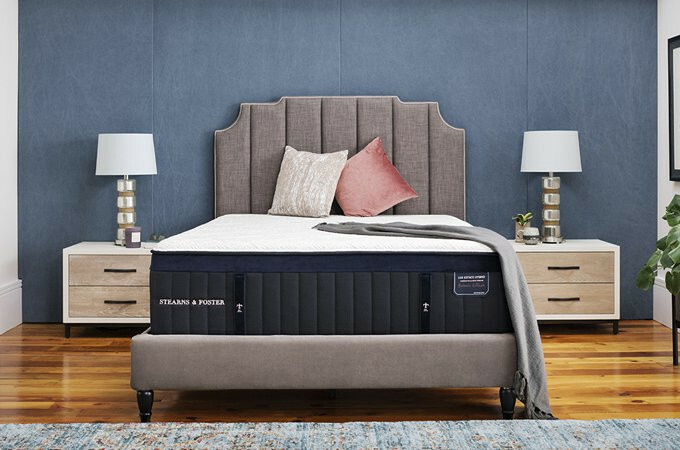 Sealy mattresses are designed to work on a firm,solid-surface, non-spring foundation or adjustable bed base that is structurally capable of supporting the weight of Purchaser’s Sealy mattress and user(s). 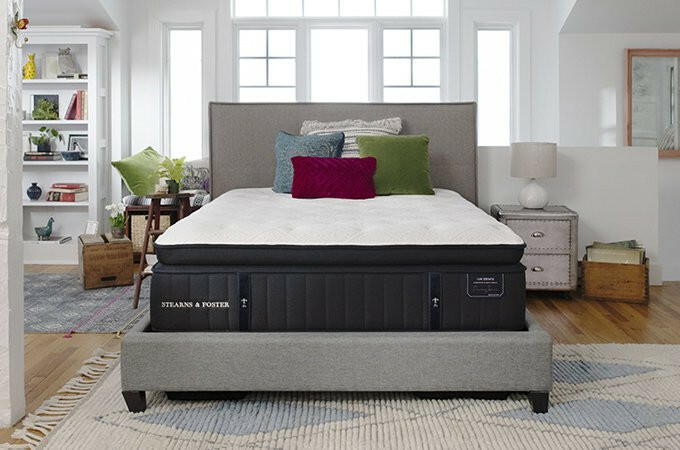 This Limited Warranty and other performance warranties are based on tests conducted on “sets” that consist of our mattresses and our foundations/adjustable bed bases. Therefore, if Purchaser uses inappropriate foundations, box springs, adjustable bed bases, or bed frames with the mattress, such use will void this limited warranty and all other warranties, whether expressed or implied, including, without limitation, the implied warranties of merchantability and fitness for a particular purpose. The length and terms of this warranty may be determined from information contained on the law tag attached to the mattress. With reference to the figure below, on your mattress’s law tag, find the “Warranty” field. The Warranty field contains a Warranty Code and a 12-digit Serial Number. Copy the Warranty Code and 12-digit Serial Number into the spaces provided below. The Number left of the slash mark is the period (in years) which warrantable repairs or mattress replacement is provided without a deductible (exclusive of any applicable transportation and inspection costs). The number to the right of the slash mark is the total warranty period in years. If the number to the left of the slash is less than the number to the right of the slash, this means your mattress warranty has a deductible for any warrantable repairs or replacement. For example, if the Warranty Code Is 10/10, your mattress has a 10-year limited warranty with any warrantable repairs or replacement during the 10-year period being provide without a deductible, but you are responsible for any applicable transportation and inspection costs. If the Warranty Code is 5/10, your mattress comes with a 10 year limited warranty and any warrantable repairs or replacement during the first 5 years of the warranty period are provided without a deductible.However, you are responsible for any applicable transportation and inspection costs. To calculate the applicable deductible for any warrantable repair or replacement (exclusive of applicable transportation and inspection costs), use this simple formula: (Current Manufacturer's Suggested Retail Price for the Mattress) X (Number of Years From the Purchase Date of Your Mattress) Divided by the Number to the Right of the Slash Mark. For example, if the Current Manufacturer's Suggested Retail Price or your mattress is $500 and the Warranty Code on the law tag of your mattress is 5/10,for any warrantable repairs or replacement in year 8 of ownership, the deductible will be (500 x 8)/10, or $400. If Your mattress is discontinued, Sealy has sole discretion to determine the retail price of a comparable mattress model that will be used to determine the deductible per the formula above. Your purchase date is established from the date of your sales receipt. Physical abuse or damage to the structure and/or cover material, including but not limited to, burns, cuts,tears, liquid damage, or stains. However, if there is a warranty defect not caused by the abuse or damage,then the mattress would be covered under the standard warranty. Damage associated with an improper bed frame,foundation, or adjustable base. See above description for a proper bed frame. Replacement of the accompanying piece in the Sealy sleep system where only one piece is defective, unless that accompanying piece is also defective. Floor models or demonstration samples (“demos”)sold at a discount (see separate warranty for demos and floor models). Product sold “as-is,” “preconditioned,” “reconditioned,”“used,” “comfort return,” “returned,” “previously owned,”or any other similar wording indicating that the product is not “new” or of “first quality,” or has previously been purchased or used by another consumer. Also, normal indentations or sagging (not associated with sag in foundation) of less than 11/2′′ for Latex or Innerspring mattresses, or less than 3/4′′ for Memory Foam mattresses, IS NOT COVERED. If it is determined that an indentation is caused by misuse, abuse or factors other than a product defect, this warranty will not cover that condition. Except as otherwise provided herein, Sealy will not charge purchaser to repair or replace Purchaser's Mattress or flat foundation if it is deemed defective during the length of this Limited Warranty, butany transportation costs associated with repairs or replacements are Purchaser’s responsibility. In no event, however, will the transportation costs exceed Sealy's then-standard freight charges. No new warranty is provided with a replacement product. The Warranty for the replacement product runs from the date of original purchase of the replaced product. Be it noted that any thermoelectric cell, fan, hose or remote provided with, or contained with, any Sealy product is warrantied for five (3) years, such period commencing from the time of purchase of the product except if the product is a demonstration or floor model, which in such case the warranty period commences with the manufacturing date of the product as provided on the product's law tag. In the event that such thermoelectric cell, fan, hose or remote is deemed defective,Sealy may, at Sealy’s choice, repair or replace such component. In the event that repair is necessary, such repair will be at no charge to the Purchaser except for transportation costs associated with such repair or replacement. In connection with the replacement of a product in compliance with the terms of this Limited Warranty, if a Purchaser elects to upgrade to a more expensive product, they may do so by paying the difference between the cost of the original product being replaced and the cost of the upgraded product plus the cost of any related additional sleep system pieces not being replaced as part of the warranty exchange. In the event of an upgrade as described in this paragraph, a new warranty will be provided for the upgraded pieces only. If removable, the cover (except for demo or floor model covers) initially provided for the Sealy product is warrantied for 2 years from the date of purchase against faults in material or workmanship. Sealy Reserves the right to repair said cover. In the event that Sealy replaces the cover for the mattress, Sealy will replace it with the current style of cover available for the mattress, which may be a different color or material than the original cover. Sealy foundations are designed to work with a bed frame capable of supporting the load of the foundation and an approved mattress. This Limited Warranty And other performance warranties are based on tests conducted on “sets” that consist of our mattresses and our foundations. Therefore, if Purchaser uses inappropriate mattresses or bed frames with this foundation, such use will void this limited warranty and all other warranties, whether expressed or implied,including, without limitation, the implied warranties of merchantability and fitness for a particular purpose. Sealy may require Purchaser to provide proof of the quality of the bed frame or mattress used in conjunction with the foundation if Purchaser Makes a claim under this limited warranty. Sealy makes no representations whatsoever as to the structural integrity or rated load for any frame not manufactured by or for Sealy. Sealy reserves the right to invalidate this Limited Warranty if the frame is determined, in Sealy’s reasonable discretion, to be inadequate or if the foundation is found to be in an unsanitary condition. Replacement of another piece in the Sealy sleep system (e.g., mattress, adjustable base, pillows, etc. )unless other piece is also defective. Sealy will not charge Purchaser to repair or replace Purchaser's foundation if it is deemed defective, but any transportation costs associated with repairs or replacements are Purchaser’s responsibility. In no event, however, will the transportation costs exceed Sealy’s then-standard freight charges. No new warranty is provided with a replacement foundation. The warranty for the replacement foundation runs from the date of original purchase of the replaced foundation. In Connection with the replacement of a product in compliance with the terms of this Limited Warranty,if a Purchaser elects to upgrade to a more expensive product, they may do so by paying the difference between the cost of the original product being replaced and the cost of the upgraded product plus the cost of any related additional sleep system pieces not being replaced as part of the warranty exchange. In the event of an upgrade as described in this paragraph, a new warranty will be provided for the upgraded pieces only. In the event a warranty claim is filed and a warranty replacement is deemed necessary, Purchaser will be required to surrender the original product to Sealy at the time of replacement. Sealy shall not be liable for incidental or consequential damages resulting from the use of this product or arising out of any breach of this warranty; the exclusive remedy for breach of this warranty shall be replacement or credit towards replacement as set forth herein. There are no express or implied warranties, including implied warranties of merchantability and fitness for a particular purpose,other than the warranty described on the face of this limited warranty. (a) This section applies to any dispute, except it does not include a Dispute relating to the enforcement or validity of your, Sealy’s, or any of our licensors’ intellectual property rights. “Dispute” means any dispute, action, or other controversy between you and Sealy concerning your Sealy mattress or this warranty, whether in contract, warranty, tort, statute, regulation, ordinance, or any other legal or equitable basis. “Dispute” will be given the broadest possible meaning allowable under law. (b) In the event of a dispute, you or Sealy must give the other a Notice of Dispute, which is a written statement that sets forth the name, address and contact information of the party giving it, the facts giving rise to the dispute, and the relief requested. You Must send any Notice of Dispute by U.S. Mail to Sealy,Inc., ATTN: Office of General Counsel, 1000 Tempur Way, Lexington, KY 40511. Sealy will send any Notice Of Dispute to you by U.S. Mail to your address if we have it or to your email address if we have it. You and Sealy will attempt to resolve any dispute through informal negotiation within 60 days from the date the Notice of Dispute is sent. After 60 days, you or Sealy May commence arbitration. (c) You may also litigate any dispute in small claims court in your county of residence or Fayette County, Kentucky,if the dispute meets all requirements to be heard in the small claims court. You may litigate in small claims court whether or not you negotiated informally first. (d) If you and Sealy do not resolve any dispute by informal negotiation or in small claims court, any other effort to resolve the dispute will be conducted exclusively by binding arbitration. You are giving up the right to litigate (or participate in as a party or class member) all disputes in court before a judge or jury.Instead, all disputes will be resolved before a neutral arbitrator, whose decision will be final except for a limited right of appeal under the Federal Arbitration Act.Any court with jurisdiction over the parties may enforce the arbitrator’s award. (f) Any arbitration will be conducted by the American Arbitration Association (the “AAA”) under its Commercial Arbitration Rules applying U.S. Federal Rules of Procedure and U.S. Federal Rules of Evidence. The AAA Supplementary Procedures for Consumer-Related Disputes will also apply. For more information, see www. adr.org or call 1-800-778-7879. You agree to commence arbitration only in your county of residence or in Fayette County, Kentucky. Sealy agrees to commence arbitration only in your county of residence. You may request a telephonic or in-person hearing by following the AAA rules. Ina dispute involving $10,000 or less, any hearing will be telephonic unless the arbitrator finds good cause to hold an in-person hearing instead. The arbitrator may award the same damages to you individually as a court could. The arbitrator may award declaratory or injunctive relief only to you individually, and only to the extent required to satisfy your individual claim. (g) Sealy will promptly reimburse your filing fees and pay the AAA’s and arbitrator’s fees and expenses as provided below. If you reject Sealy’s last written settlement offer made before the arbitrator was appointed (“Sealy’s last written offer”), your dispute goes all the way to an arbitrator’s decision (called an “award”),and the arbitrator awards you more than Sealy’s last written offer. Sealy will give you three incentives: (i) pay the greater of the award or $5,000; (ii) pay twice your reasonable attorney’s fees, if any; and (iii) reimburse any expenses (including expert witness fees and costs)that your attorney reasonably accrues for investigating,preparing, and pursuing your claim in arbitration. The Arbitrator will determine the amount of fees, costs, and expenses unless you and Sealy agree on them. For purposes of this Limited Warranty, an email shall be considered a written communication. (h) In any arbitration you commence, Sealy will seek its AAA or arbitrator’s fees and expenses, or your filing fees it reimbursed, only if the arbitrator finds the arbitration frivolous or brought for an improper purpose. In any arbitration Sealy commences, Sealy will pay all filing,AAA, and arbitrator’s fees and expenses. Sealy may also seek its attorney’s fees or expenses from you in any arbitration. Fees and expenses are not counted in determining how much a dispute involves. (j) To the extent permitted by law, any claim or dispute under this Limited Warranty must be filed within one year in small claims court, an arbitration proceeding,or in court, if so permitted herein. The one-year period begins when the claim or Notice of Dispute first could be filed. If a claim or dispute is not filed within one year, it is permanently barred. (k) If the class action waiver is found to be illegal or unenforceable as to all or some parts of a dispute, then it will not apply to those parts. Instead, those parts will be severed and proceed in a court of law, with the remaining parts proceeding in arbitration. If any other provision of this section is found to be illegal or unenforceable,that provision will be severed with the remainder of this section remaining in full force and effect. All parts of this Limited Warranty apply to the maximum extent permitted by law or unless prohibited by law.This Limited Warranty gives the Purchaser specific legal rights, and the Purchaser may also have other rights, which may vary from state to state. You may contact Sealy’s Customer Service Department By calling toll-free 1-866-783-2767 or by sending an email to consumersupport@stearnsandfoster.com.